On one of the Unschooling email lists, we got to chatting about how a homeschool parent could test the reading level of their children. Below are several online reading level tests that were suggested. I’ve added more reading tests for kids, too, through the years. One quick way of assessing reading grade level is to look at the reading level designation of their favorite books. Usually placed near the list price on the back cover of children’s books you’ll see something like this: RL 3.2. This would indicate that the book was written with the reading vocabulary of a typical child in the second month of the third grade. I’d average the “RL’s” of their favorite books, as homeschooled kids tend to read all over the map. This system, however, tends to stop at about the end of the 6th grade level. Anne-Evan Williams, Let’s Go Learn Director of Educational Development, discusses the importance of being watchful and making informal assessments as children read to you. Consider using a smartphone app for audio recording your child reading. Save the recordings by date so you can more easily assess improvements. Have your child read and pronounce correctly each letter or word starting with “A”, the first 8 “words” are letters, then progress from left to right. When your child misses 5 words in a row, or is frustrated, then stop. Next, add the number of words using the number in brackets to help you, which keeps a tally of how many words your child has read up to that row. As you can see this scale goes all the way up to college level. This test only assesses decoding (reading words); it does not assess reading comprehension or spelling. Example: If your child reads all the way up to “quality” but misses the next 5 or 6 words then they would have a score of 44. A score of 44 = 4.4 grade reading level, being typical of a 4th grader in their fourth month. Links lead to dictionary.com pronunciations and definitions. You may test for word comprehension by using the linked definitions. The simpler words sometimes have the more complicated definitions and sometimes several pronunciations. 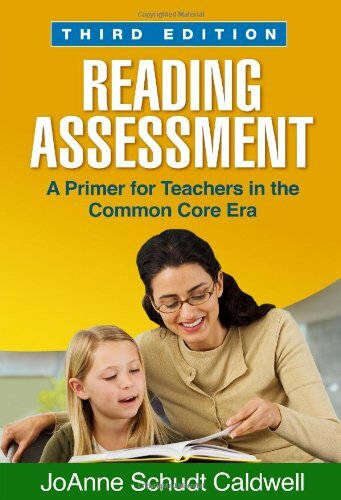 This trusted teacher guide and widely adopted text provide a comprehensive conceptual framework and hands-on practical tools for reading assessment. The authors present a clear roadmap for evaluating K-8 students’ strengths and weaknesses in each of the basic competencies that good readers need to master. Teachers learn how to select, administer, and interpret a wide range of formal and informal assessments, and how to use the results to improve instruction. In a large-size format for easy photocopying, the book includes 30 reproducible assessment tools. Purchasers get access to a Web page where they can download and print the reproducible materials. Rentable, and can trade in. This trusted practitioner guide and course text help K-8 teachers utilize assessment as an integral component of classroom instruction. It guides teachers step by step to recognize good reader behaviors, assess students’ strengths and weaknesses, and make evidence-based instructional decisions. Formal and informal measures are discussed for evaluating specific components of literacy, with a focus on the Common Core State Standards (CCSS). Every chapter features activities for developing understanding; in-depth practice exercises are provided in several appendices. Helpful reproducible tools can be photocopied from the book or downloaded and printed in a convenient 8 1/2″ x 11″ size. Rentable. 100 books that have won the Newbery or Caldecott awards, or other literary awards for the best children’s literature, organized by reading level and title. Resource for finding books once you know your child’s reading level. Demystifying computerized reading programs. American Libraries. We want readers to feel confident in their ability to select a book to read. So, here’s what you can do to prevent Reading Level anxiety. Good literature doesn’t deserve to get buried beneath a bunch of numbers that ultimately have nothing to do with quality or content. 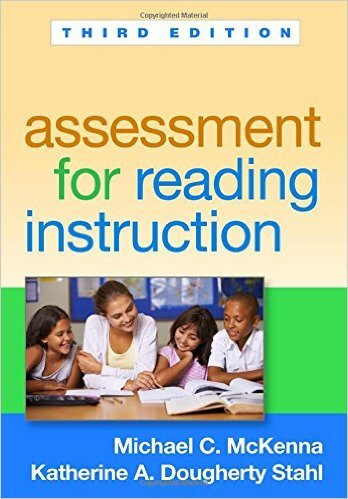 A three-part assessment process to help you place students in instructionally appropriate level texts. Find out at which level to start a student. Determine when a student is ready to move to the next level. Must sign up as a member to use resources and track reading level records. This has a classroom-priced program, but none with family pricing. Families need to use the free version. Correlated to Common Core Standards. The free reading level assessment test is an effective screening device to determine whether there is a need for further testing. Works even with those with dyslexia or other learning disabilities. A running record allows you to assess a student’s reading performance as she/he reads from benchmark passages. Benchmark books are books selected for running record assessment purposes. A running record form, with text from the book printed on the form, accompanies each of the benchmark books. The child should read the words left to right. When a word that gets a little difficult, ask the child to sound it out. If the child can’t say what the word is, then go on to the next one. Determines reading age, not grade level. We have created this summary of the different types of assessment that can be used for measuring development in reading skills in the hopes that teachers will better understand how single skills can be assessed by multiple measures. To calculate the SMOG reading grade level, begin with the entire written work that is being assessed, and follow these four steps. A way to figure out what reading level a particular book is. Correct. Ignore a few missed words, and go on until 5 words in a row are missed. The score would be the number of the word just before they missed those 5. This only tests decoding of words, the phonics aspect, not reading comprehension. These are the words they can sound out, but not necessarily understand. Consider that any word mispronounced may mean the child doesn’t fully understand the phonetic rules used for that word, and go back over those rules. I’m going in to 7th grade, and I did the first one, not “The San Diego Quick Assessment of Reading Ability”, the other one. I could read most of the words in the 128 column, but I had trouble with lots, but not all, of the rest of the words, starting with “spurious” in the 96 column. What does this mean? Am I on the 12th grade in the 8th month level or the 9th grade in the 6th month level or something totally different? PS My mom posted this for me. As “spurious” is the 93rd word on the list, this would imply you are comfortable reading up through materials written for those in the 3rd month of 9th grade. As you could read words further along, this just means that you are willing to stretch yourself and try to read harder materials. This does NOT actually tell you your grade level on all subject areas. Keep stretching, and learning new vocabulary! You probably find most 7th grade material easy enough to read, just having to learn new words when learning completely new topics, for example in science and history. At your age, my homeschooled son had fun starting to learn Latin and Greek roots of words. Do you like to play the card game “Rummy?” This card game, Rummy Roots, will help you learn the roots of our language in a fun way. There is also a follow-up deck of cards: “More Roots,” so you can extend the game.